The &#8216;best view in Guanajuato&#8217;. That is what my friends and visitors say about the city and mountain views from my balcony. 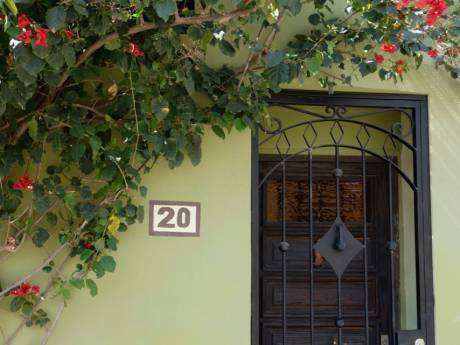 My house is a spacious three bedroom two bath condo with the best of both worlds: an extremely private and quiet location with an inner courtyard but yet only a 15 minute walk to the center of town. Guanajuato is in the geographic center of Mexico and is an ideal base for exploring the rest of Mexico. Inside: telephone, high-speed internet (WI-FI), stereo, I-pod docks, large screen TV (SKY network). Three comfortably furnished bedrooms (all with queen beds) and two full baths (one with tub). Kitchen and washing: Fridge, microwave, stove/oven, toaster, food processor, blender and all necessary kitchen gadgets. Washing machine in service area. Weekly maid service also provided. Outside: Private entrance through outer security gate (intercom controlled). Courtyard, small balcony in front and large balcony with incredible city and mountain views on the backside. Private parking space. One mountain bike (more can be rented downtown). Local activities: Hiking, rock climbing (regional park is a 10 minute walk from house). Mountain biking, swimming, ice skating in Leon (30 minutes away). Leon is also the leather capital of Mexico and finely made leather, shoes and boots, jackets and purses can be purchased for incredibly low prices. Guanajuato is home to the University of Guanajuato, one of the foremost learning institutions in Latin America. 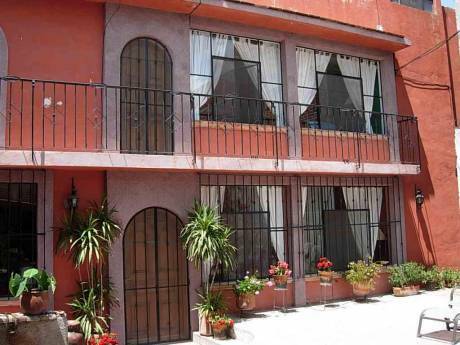 Also, many people come to Guanajuato to learn Spanish at the university or at one of the many private language schools. Classes are flexible and very economical. Local places to go: Guanajuato is a United Nations World Heritage site with an incredible array of museums, historical buildings/churches, ex-haciendas and gardens. Diego Rivera was born here and his museum houses his memorabilia and art. Musicians gather every afternoon and evening in the central plaza among the fountains and flowers. The community band plays twice weekly in the bandstand in the central plaza and every Friday evening the Sinfonica of Guanajuato treats us to wonderful classical music, often with guest artists and conductors from Europe. Tickets are 7.00 US. A wonderful array of local restaurants offer traditional Mexican cuisine or tastes from around the world. This will probably be one of the most economical vacations you will ever take. Prices are very reasonable. Also, public transportation is very reasonable. Close by are two more United Nations World Heritage sites; the sophisticated yet charming city of Queretaro with its colonial architecture and famous plazas and San Miguel de Allende, an artist haven and favorite tourist hang-out for many ex-pats. Nearest Major Airport: Leon/Guanajuato (BJX) airport is only 20 minutes away with direct flights to many Mexican and U.S. cities and connections world-wide. Mexico City airport is 4 &frac12;-5 hours away by luxury bus with connections to the world. Other information: Children and pets okay. High speed internet (wifi). Non-smokers please. Local excellent medical care. Public transport is three minutes away and taxis are very reasonable. Mexico has a network of luxury buses with large comfortable seats, bathrooms, snacks, movies and stereo music that criss-cross the country. The buses are new (mostly Mercedes or Volvos) and ticket prices are very reasonable. The buses are a safe and economical way to visit other cities. I am recently retired having completed a career in technical staffing management. I am currently teaching part-time at the university and also taking language classes. I am an avid hiker and bicyclist and enjoy music, history and art and enjoy meeting new people and experiencing the local color. 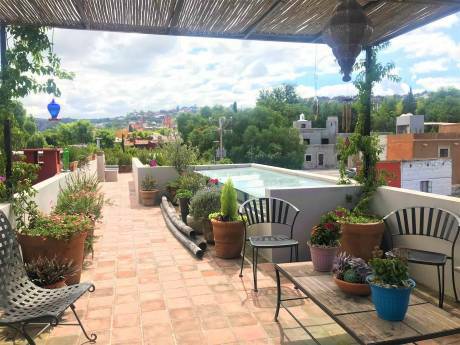 Guanajuato, often called the most beautiful city in Mexico, has been for many years a popular tourist destination for Mexicans and Latin Americans. It is a well kept secret and we like it that way. Guanajuato reminds me of a mixture of Toledo and the Amalfi coast with a touch of Oxford or Berkeley thrown in because of the university influence. National Geographic Magazine ranked Guanajuato fifth among 94 World Heritage sites surveyed in 2006, calling it a &#8220;charming, peaceful, welcoming city.&#8221; The historic town of Guanajuato and adjacent mines were granted World Heritage status by UNESCO in 1987 and has been ranked by several travel magazines as one of the top travel destinations in the world. Guanajuato has a unique system of underground tunnels which allows most of the vehicular traffic to flow underground while leaving much of the area above ground a car-free pedestrian paradise. Guanajuato is home to the world famous &#8220;International Cervantino Festival&#8221;, the largest festival of the arts in Latin America. For three weeks, every October, the local stages host prominent performers in dance, theatre and music from around the world. Another popular time for visitors in Guanajuato is during &#8216;Semana Santa&#8217; or Holy Week. The town is alive with music and parades. The weather in Guanajuato is temperate year round due to its elevation of 6,400 above sea level. You can expect warm days and cool nights for most of the year. The wonderful climate is one of the things that drew me here.